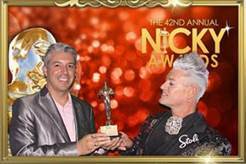 Center on Halsted’s “A Night with Oscar"
The Nicky’s are the second oldest nightlife award ceremony in North America, an event which annually recognizes individuals as well as businesses and organizations that demonstrate community excellence in nightlife and entertainment. The Nicky’s are exceptionally diverse and inclusive in recognizing the contributions of all hard working people and establishments. 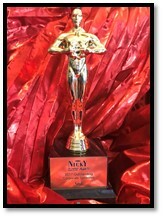 The Nicky Awards are decided by public vote over a period of weeks, and the “BEST CORPORATE SPONSOR” award stands out as the brand was up against impressive competition; there were a total of twenty nominees in the category. Stoli offers it’s thanks to everyone who took the time to vote online, as well as to San Diego City Commissioner Nicole Murray Ramirez (creator of the Nicky Awards), and their San Diego partners such as Eddie Rey, the San Diego LGBT Visitors Center, and the Hillcrest Business Association. See more photos of the event from Patrik Gallineaux here. 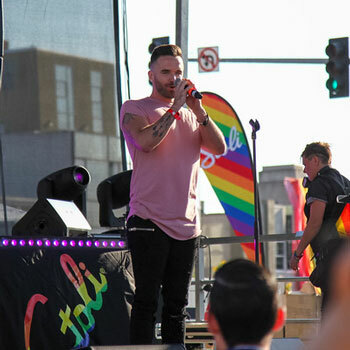 For the 6th year in a row, on Friday, July 14th Stoli returned to launch San Diego Pride weekend with the annual Hillcrest Business Association’s “Pride of Hillcrest” Block Party. Kicking off with the raising of the gorgeous Pride Flag during the Stonewall Rally attended by special guests and dignitaries including CA State Assemblyman Todd Gloria, “Mayor of Hillcrest” and Councilmember Nicole Murray Ramirez and “America’s Got Talent” finalist Brian Justin Crum, guests enjoyed hosted Stoli Crushed Pineapple and Grapefruit cocktails and a night of incredible entertainment. Stoli Guys entertained VIP’s at the Stoli Cabana and Stoli Gay Game Tent, and joined American Idol David Hernandez onstage to get the party moving into hyper-drive with a special stage appearance to the music of DJ dirty KURTY who was later joined by twin sister songstresses Nina Sky. On this evening, there was no questioning that “Fabulous Hillcrest” beyond lived up to its name! On June 15, 2017, Stoli joined The Advocate in celebrating their 50th Anniversary Gala in Los Angeles, CA. Hosted by the remarkable Candis Cayne, and with appearances by so many LGBTQ heroes including Ongina, Isis King, Perez Hilton, Darryl Stephens, and more, the event welcomed more than 400 movers and shakers integral to the LGBTQ equality movement over the past 50 years. Stoli Hero of Diversity Twiggy Pucci Garcon, took the stage after a special announcement by Stoli National LGBT Ambassador Patrik Gallineaux, to bring the house down with a ballroom performance in his signature Voguing style.